Every now and then, or every once in a while, or sometimes quite by accident an LP, or cassette album, or CD, or digital download will enter my life and I will have to stop everything I am doing and just sit and listen. In 1994 it was a taped copy of Jeff Buckley’s ‘Grace’ sent to me by my then-girlfriend’s brother which halted my walk along the canal to Uni lectures. I sat and listened, then blew off the lecture and went into town to buy the CD. In 2000 it was Unbelievable Truth’s ‘sorrythankyou’ which had me sitting in the car park of a motorway services, waiting for the last track to finish before I headed in for a coffee. In 2005 it was Calexico and Iron & Wine’s ‘In The Reins’ with the heartbreaking ‘Dead Man’s Will’ forcing me to grab a coffee while out in Birmingham, sitting and listening to the rest of the album. In 2008 it was Bon Iver’s haunting debut that looped as I avoided writing up my first OU assessments. 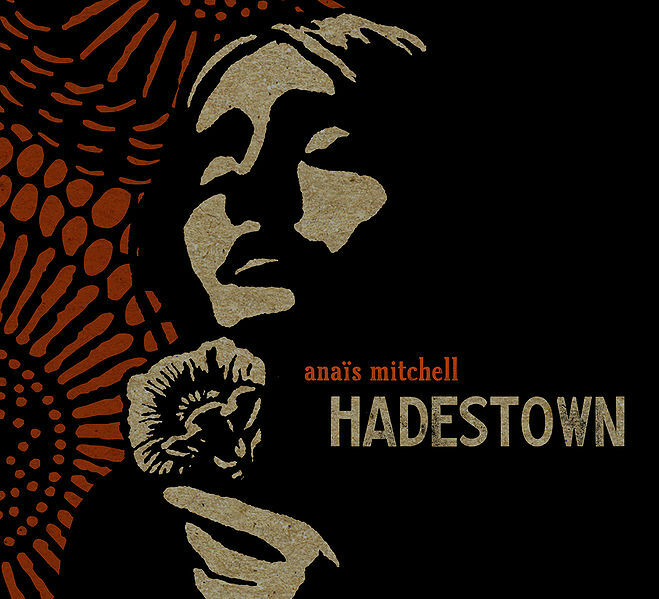 In 2010 it is Anais Mitchell’s ‘Hadestown.’ I picked the CD up with our post yesterday and slipped the CD into the car stereo straight away. I had to do a bit of shopping on the way home, but found myself sitting in the supermarket car park listening to just one more track before I set about my chores. I did manage to drag myself away as the shopping was needed back home, but the album has been on rotation on my iPod since then. ‘Hadestown is a ‘folk-opera’ that retells the Ancient Greek myth of Orpheus and Eurydice, where Orpheus must embark on a quest to rescue his wife Eurydice from the underworld, with Mitchell composing all the songs and performing the role of Eurydice. A whole host of alt country/folk vocalists have also contributed , with Justin Vernon (better known as Bon Iver) playing Orpheus, Greg Brown as Hades, Ben Knox Miller (of The Low Anthem) as Hermes, Ani DiFranco as Persephone, and Tanya, Petra and Rachel Haden (‘The Haden Triplets’) as The Fates. The score moves through the complete spectrum of Americana, moving from folk to country to ragtime, exploring the heritage of american music while managing to sound timeless and contemporary, all set against the backdrop of Mitchell’s version of the Underworld, Hadestown and the plot of Orpheus and Eurydice’s story. The songs work as individual pieces but listening to the complete piece you can appreciate the tapestry of style and vocals that Mitchell and producer Todd Sickafoose have achieved. Each of the contributers are well fitted to their role, particularly Justin Vernon, whose delicate emotional style is perfect for the poet Orpheus, while Greg Brown’s growl adds the right amount of gravitas to the pronouncement of Hades. It is a remarkable recording. As I listen I imagine an animated movie made to accompany the ‘opera,’ in the style of the fabulous sleeve artwork. I’d pay to see something like that, be it in a cinema or played out above a live show featuring the musicians. I am confident in saying that I have found my album of 2010. Hell, as album of the last ten years for me it’s only serious contenders would be Bon Iver’s debut or anything by The Felice Brothers. If you like alt country, folk, opera, Greek mythology or any of the contributing artists I mentioned you simply have to buy this. You heart will thank you for it.